A nutritious diet is incredibly important, especially for school-aged children. Getting the right nutrients sets kids up for a great day of school, and can assist in learning. But getting those healthy meals in your kids can be a challenge, especially for busy moms and dads during the school year. If you are running out of ideas for healthy breakfasts, read on for some great tips! Feed your children’s bodies and strengthen their minds with these great tips! School will be back in session in no time, and this year you’ll be armed with an arsenal of nutritious ideas. Studies have shown that a healthy breakfast results in better school performance in students. Students who ate breakfast were shown to have better memory, verbal fluency, creativity, and problem-solving abilities. Even more than this, students who eat breakfast were less likely to be absent, and good attendance always is beneficial in student’s achievement. Students who did not eat breakfast were more likely to have problems at school, including academic, behavioral, and emotional. 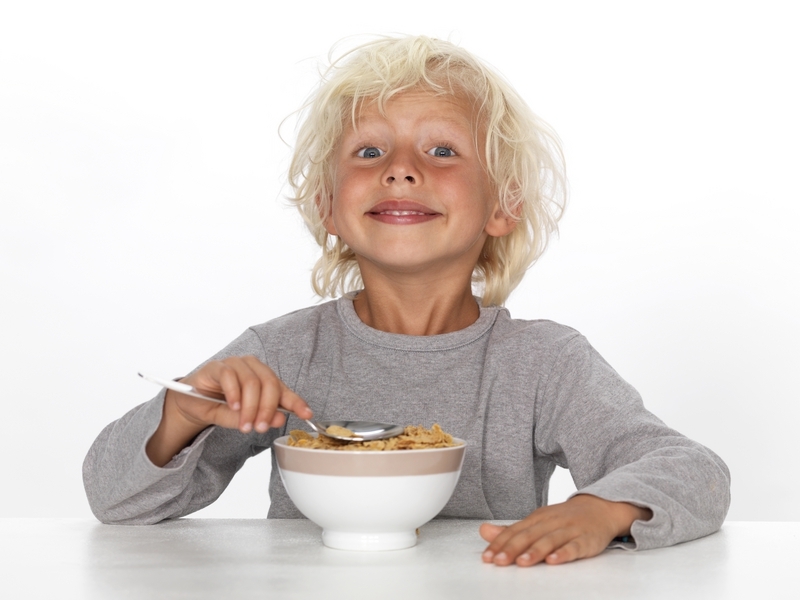 Kids who don’t eat breakfast are also more likely to be overweight, which can lead to a whole host of health problems. So give your kids a great breakfast to get their day started right! If you felt like breakfast was not a priority last school year, this is the year to change it around! School mornings can be a blur of backpacks, shoes, homework papers, and stress. Planning ahead can make your mornings easier, and having a breakfast menu will help you not forget about this important meal. Read on for some great breakfast ideas that will ease your morning routine and get nutrition in your kid’s bellies. This hearty grain can be prepared easily in the morning, or left to soak overnight for quick-cooking in the morning. Another option is to let your slow cooker do the work for you, and you will wake up to a hearty, warm breakfast. Oatmeal can be topped with milk (cow, soy, almond, or whatever you like), fresh berries, maple syrup, nuts, or anything else you like! Oatmeal is a whole grain that will fill your kid’s bellies and give them a great start. The egg is incredibly nutritious and versatile in preparation. Packed with lots of protein, eggs give your child the energy they need in the morning to tackle the school day. Hard-boiled, fried, scrambled, or poached, the egg can be cooked in a variety of ways—find one your kid loves! Eggs can also be combined with meats, veggies, or cheese to make them even more nutritious and filling. Sometimes getting your child to sit down to a full breakfast in the morning is not possible, and a quicker alternative is what you need. 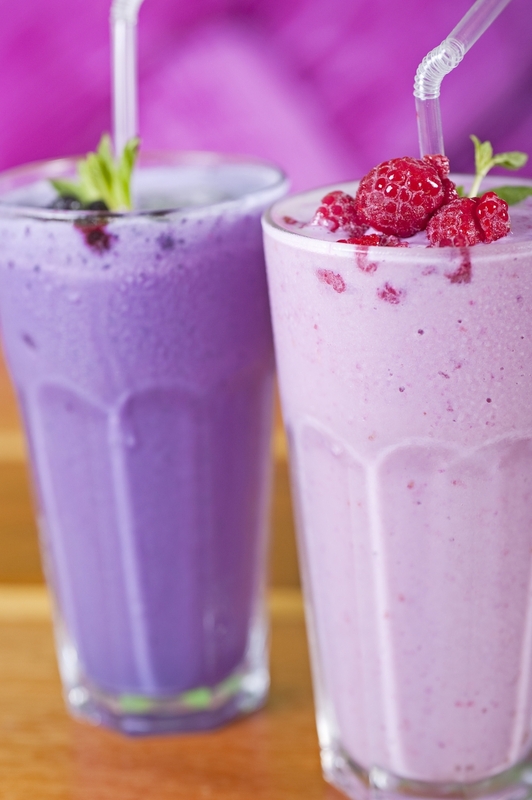 Smoothies are a great solution to pack a lot of nutrition into one glass. Use milk or yogurt to add protein and calcium, and choose your favorite fruits to blend up. Even vegetables, especially kale, spinach, or broccoli, will be delicious in a smoothie, and your kiddo will probably not even know they are there! Add in nut butters, seeds or anything else you want to make a delicious morning treat! While many people don’t want to wake up early on school days to bake, the beauty of muffins is that you can make them ahead of time and freeze them! Pull them out on mornings when you’re running behind, pop them in the oven or microwave, and you have a great breakfast! Muffins can be made with whole grains, fruits, and eggs, and even zucchini, carrots and nuts can be snuck in for extra nutrition. Some kids just don’t like breakfast food. 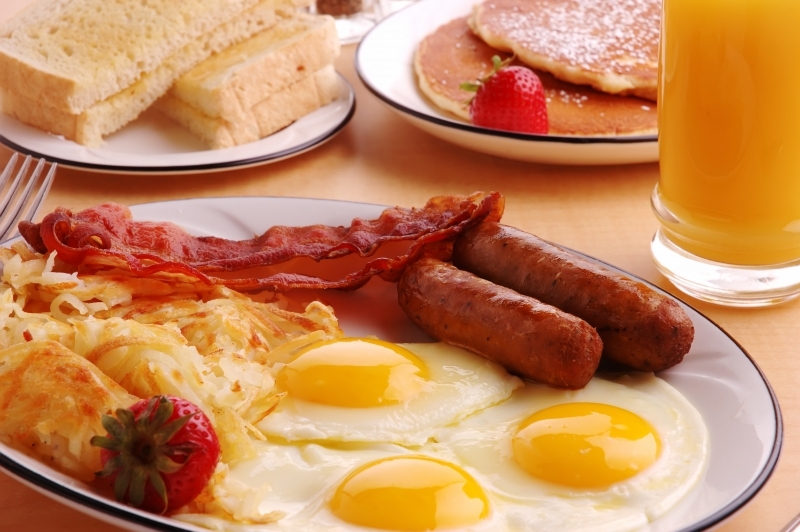 Eggs, pancakes, bacon, and toast do not appeal to them, and it is a struggle to try to force them to eat these foods. If your kiddo doesn’t like traditional breakfast foods, don’t worry! As long as they get the right nutrition, it doesn’t matter if the foods are “breakfasty” or not! Soups are a great idea for winter breakfasts, and are an easy place to squeeze in vegetables and meat. Cheese, crackers, and fruit satisfy the kiddo who loves snacking. Leftovers from dinner or lunch are also great choices for kids-just heat up and serve! Don’t get stuck in a box with your breakfasts—let your kid’s taste buds guide the way. So don’t skip breakfast this school year! Armed with these ideas, you are sure to find something that your kids will love! And as your elementary school children get older, teach them the skills they need to cook their own breakfasts, and have control over what they eat! If you are looking for a great charter school in Loveland, New Vision Charter School is a great choice! Keep checking back for our next blog, on great, nutritious lunch ideas!